Are you planning to take a trip to the beautiful Olympic Peninsula this summer? We recommend that you stay at least two days – not only is there plenty to see, but we are somewhat rural and it will take you time to reach us and get around. Here are some of our favorite places to stay on the Peninsula, along with the wineries closest to them. 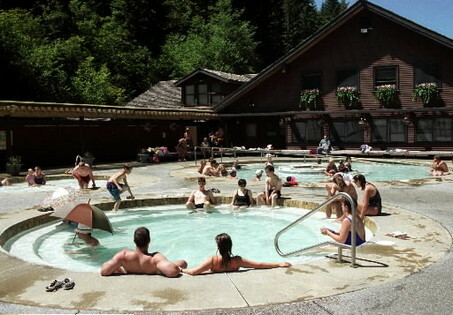 Sol Duc Hot Springs Resort: 12076 Sol Duc Hot Springs Road, Port Angeles. Stay in a cabin adjacent to the hot springs and enjoy a rustic setting with the beauty of the valley surrounding you. A great way to really soak up the hot springs (pun intended!) Nightly rates start at $119. Nearby wineries: Black Diamond, Harbinger & Camaraderie. The Inn at Port Ludlow: One Heron Road, Port Ludlow. Among acres of majestic forests, woodland trails and saltwater beaches, The Resort at Port Ludlow is a quintessentially Northwest destination. Located on the pristine shores of tranquil Ludlow Bay, the resort provides views of the majestic Olympic Mountains at every turn. Room rates start at $209 in the summer. Nearby wineries: Finnriver Farm & Cidery, Eaglemount Wine & Cider. Sunset Marine Resort: 40 Buzzard Ridge Road, Sequim. This place has rooms, cabins and group lodging for family reunions and the like. Rent kayaks and view bald eagles, seals and herons, just outside your room. Prices start at (approximate): $240. 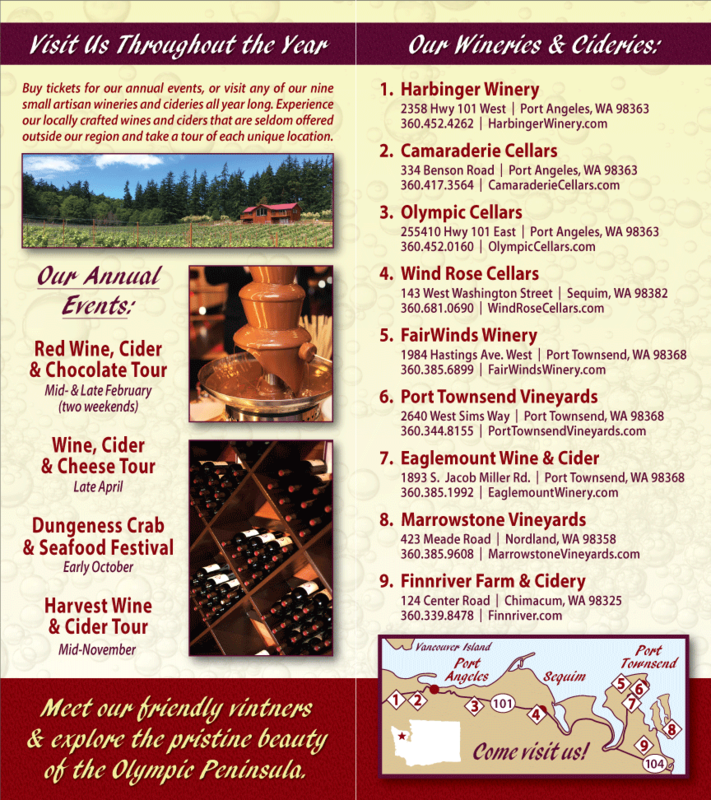 Nearby wineries: Fairwinds Winery. These three locations are only examples. If they are booked, or you simply want to do additional browsing, see a full list of our recommended Olympic Peninsula lodging on our website.